A bill that requests a substantial cut to the current tax of three casinos in Delaware is set to be reviewed thoroughly and considered by the Delaware Senate Finance Committee this week. According to local media, Gov. John Carney talked to the advocates of the bill Tuesday to work out a deal that would defend against a momentous subtraction of tax revenue that might be leaked to the state’s treasure chest. If the legislation gains the nod of approval from the Senate, the state is set to lose a lot of money in revenue. Carney added that he appealed to David B. McBride, president pro temp, to put a lock on the legislative piece until May, which is just in time for the legislature to have direct and thorough information regarding the revenue members of the state. Presently, the state of Delaware has three casinos that are taxed 43 percent of the revenue of slot machines and 30 percent on revenue from table games. Moreover, the gambling locales are required by the state government to pay a license fee of U.S. $3 million annually. 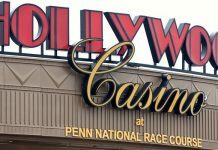 Among the casinos in Delaware are Dover Downs and Harrington Raceway and Casino, both of which are located in Kent County, and the Delaware Park Racetrack and Slots, which is in New Castle County. A gambling revenue tax price, which was established in 2009, immediately trotted out a weighty breakthrough from the 36 percent estimate that was carried out to each casino in the early 2000s. In a recent calculation released Feb. 28 by the Delaware Table Games, Delaware Park Racetrack and Slots currently leads in net proceeds with $1,957,059. Dover Downs and the Harrington Raceway Casino, on the other hand, each have net proceeds of U.S. $1,397,036 and U.S. $898,277, respectively. 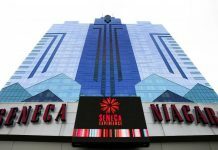 In addition, the implemented tax price also brought to light an astonishing twofold increase from the tax, in which payments were made by two identical gambling venues in the 1990s. However, a bill proposed by state Sens. Brian Bushweller and Harris McDowell, Senate Bill 144, lays the foundation for casinos to pay 32 percent and 43.5 percent, respectively, depending upon the income generated by their gaming devices. Moreover, the cash flow collected from table games is charged with a tax at a flat rate of 15 percent. While the proposed bill has been completely supported by the US casinos, the agenda has also had its own share of opponents. They have raised concern mainly over the prospect of losing annual revenues that would total as much as $20 million every year. But, the three casinos in Delaware and their supporters have reiterated that the recommended changes in the present tax rate would not only help gambling venues to put down roots and remain afloat but can also benefit more than 3,000 employees across the state. Furthermore, the supporters of the bill believe that a cutback in casino taxes is the critical action to make certain the three casinos can establish themselves and remain competitive rather than closing the year with a loss. As soon as the legislation achieves the decisive assistance in the Legislature, it is expected that the annual licensing fee, which costs U.S. $3 million, would be negated altogether. Additionally, the bill will also terminate the present ban of casinos operating on holidays, such as Easter Sunday and Christmas. The members of Senate Finance Committee, headed by Sen. McDowell, are expected to discuss to aforementioned issue in their meeting later in the day.